The former star of a number of reality shows on TV, rapper Flavor Flav, was punched numerous times in a Las Vegas casino. The incident was caught on camera and reported via TMZ. The footage catches Flavor Flav already on the ground, in a green jacket and jeans, while a man in black pants and shirt with a white belt winds up and swings from above. A larger man attempts to get between the two. 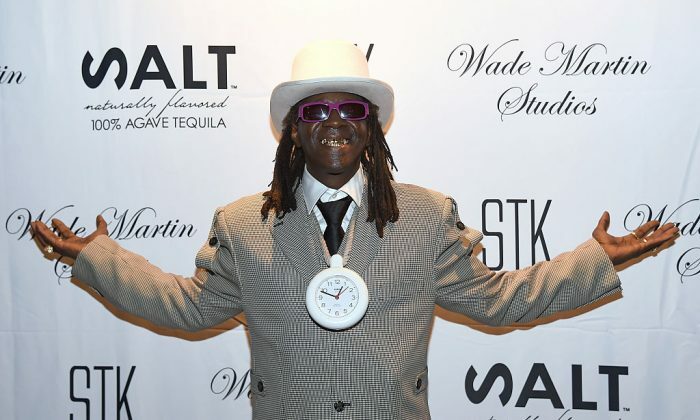 Flavor Flav is 58 years old. A woman’s voice is heard calling for security. The footage cuts and then security can be seen attempting to restrain a similarly dressed man, presumably the attacker. He still appears to be out of control while handcuffs can be heard closing around his wrists. Ugandi Howard is named as the attacker by TMZ. TMZ claims Howard attacked Flav, whose real name is William Johnathon Drayton Jr., after Flav insulted his mother. Flav had two acting projects released in 2017. He appeared in a feature film titled “Hold On,” and in “The Labyrinth,”—a collection of short films— according to IMDB. After Drayton’s rap group, Public Enemy, released its 14th album last year and marked 30 years together as a group, Drayton began a lawsuit alleging he did not receive proper compensation, Variety reported. The suit goes after many entities and individuals involved in the group’s music dealings, including fellow bandmate Chuck D.